STORM Swim Team at FSHFC will have a balanced approach between competition, fitness and fun. Our goal is to help develop the whole child physically, emotionally and intellectually though the skill of swimming that will last a lifetime. Self-discipline and self-motivation will be emphasized to encourage each child to achieve their goals in swimming as well as in other aspects of their lives. To build a swim community, our swim family, we will work to develop positive relationships between teammates, coaches, friends, and family. We want each swimmer to graduate from our program with a positive experience in the sport of swimming. 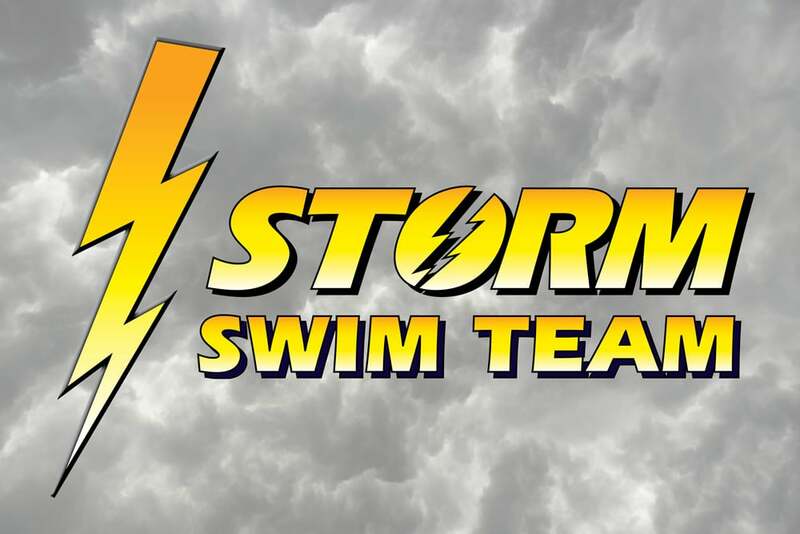 STORM Swim Team is for children ages 5-18 and is a GKAISA Team. All swim season information, registration forms, parent volunteer information, and practice dates/times will be accessible on STORM Swim Team Official Website. First STORM parent meeting is Tuesday, February 26th at 6 pm. The meeting will be held in the conference room across from the racquetball courts. Members will complete payment for swim team fees at our Front Desk by cash, check or credit card. Fees cover coach fees, team t-shirt, swim meet fees, dryland personal training, pool equipment/supplies, and much more! Discounts for multiple children in the same family are available. Lastly, parents will need to purchase an official suit for swim meets. Learn more about The Storm by visiting the official FSHFC STORM GKAISA website. GKAISA is an organization of 34 Knoxville area teams that compete with each other. It is divided up into 6 leagues according to size and ability of teams. GKAISA stands for Greater Knoxville Area Interclub Swim Association. We are in the lowest league (League 6). The championship meet at the end of the season is for all the teams in GKAISA. Over 2,000 swimmers compete in this meet, which is the fourth largest swim meet in the country! It is a great opportunity for kids to compete in a first rate facility (Allan Jones Aquatic Center on UT campus) and to compete against some great area swimmers! The swim meets are divided into 10 divisions. Ages 8 and under; 9 – 10; 11 – 12; 13 – 14; and 15 and over. Each age group is divided in boys and girls. Girls swim first in the age divisions, then boys swim. Do you have to be a member of FSHFC to join STORM swim team? Yes. It is a GKAISA rule that all swimmers must belong to the pool, club or community. How can I get in touch with a coach? A STORM Team board member? Log on to the website, storm.swimtopia.com and click on COACHES & BOARD tab. From there, you can click on anyone’s name to send them an email. During office hours contact the aquatics office at (865) 531-5082. The Storm FAQs & Team Info.